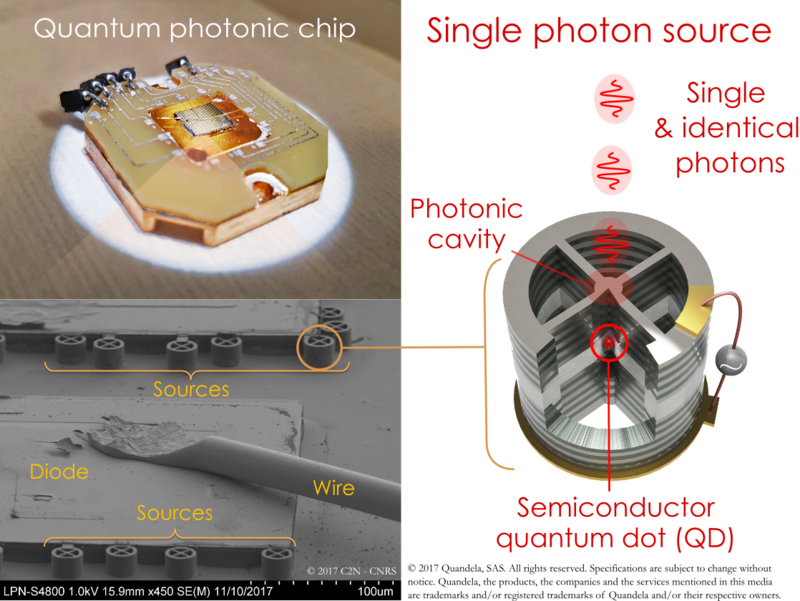 Photonic sources are one of the most important enabling technologies for quantum technologies. Their flexibility has been one of the cornerstones of the field, allowing theory and experiment in quantum optics and quantum information science to rapidly progress hand in hand. A single “grain” of light, a quanta of light, is referred to as a photon. It is easy to produce lots of photons, when you turn on a light, or if you want something more special, a laser. But these produce classical states of light. We are developing quantum technologies that are capable of generating a single quanta, or perhaps two entangled quanta, of light at a time. It is only in this regime where their quantum nature can be guaranteed, engineered, and exploited for emerging applications. Quantum communication is an area where these key enabling technologies are essential, but these are also useful for photonic sensors or in the context of the quantum internet , connecting other different and distant quantum technologies. There are a great many different technologies from nonlinear processes where laser photons degenerate into two correlated, or entangled, photons. Already here there are a wide range of options but recent focus has been on exploiting integrated photonic solutions to make these more scalable. An interesting property is that if you detect one of the photons you know (and can herald) that the other one was also generated – these are called heralded single photon sources. The next challenge are true single photon sources that emit a photon on demand – every time we push on a button. These are again realized using a wide range of techniques and materials and progress has been significant in the last few years and already a couple of European companies are selling these devices. Sources based on nonlinear processes have been the go-to source for quantum photonics for several decades and today our understanding and control make these the most versatile and practical. There is still progress to be made for integrated photonic devices to reach the performance levels of the traditional techniques but most R&D is taking place here now and compact low-cost and reliable sources are starting to emerge for practical applications. True single photon sources, like quantum dots, have really advanced in the last few years although challenges remain in producing good quality photons and in coupling these out of the devices and, for example, into circuits or fibre optics – the currently low coupling efficiency means that we don’t always get a photon when we want, but in the next few years this should improve markedly and we can start to think about incorporating these sources in more complex experiments and applications.